Our field service technicians and specialists provide value-added support, and work all over the world to ensure attaching tools and machines are calibrated properly for optimal performance. Our collaborative consultation with customers allows us to recommend the most appropriate machine for their specific application and production facility infrastructure. 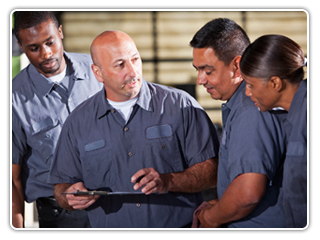 Our service team also provides technical training for operators at customer production facilities. Equipment professionals in our attaching design, assembly and maintenance facility located at our Global Headquarters in Clarkesville, Georgia, work to recondition existing equipment and assemble new machines. Additional attaching machine options may be purchased or leased through our vendor partners around the world. Our focus on technical expertise results in tooling and machines that perform to the highest standards and provide dependable Scovill attachments year after year.